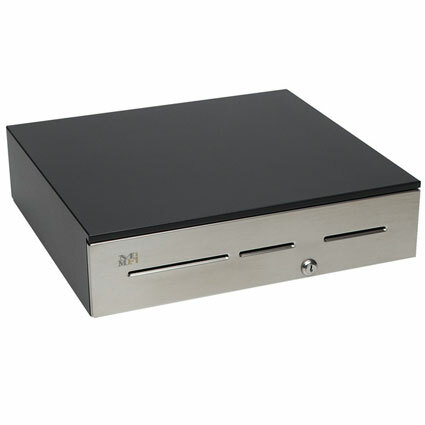 The MMF Advantage cash drawer series has a cash drawer ideal for every size, interface, or security level you may needs. 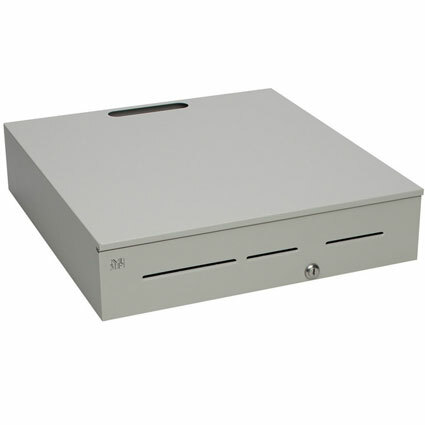 Available in sizes from 17.4" x 18.7" to 20" x 21", the Advantage features a rolled steel construction giving you added durability at any cash drawer size. With your choice of Black, Cool White, or Putty, with stainless steel or painted face, the Advantage easily matches whatever aesthetic you choose. Securing money is vital at retail locations, and the Advantage has the tools necessary to keep your cash safe. On the 3-slot models, one slot has a lockable cover, allowing you to put larger bills or checks in a more secure location. Keys can be set alike or randomly depending on your preference, and the special high-security lock option only allows manual cash drawer opening by the manager, ensuring employees can only open the drawer via software action. A manual version of the MMF Advantage is also available. 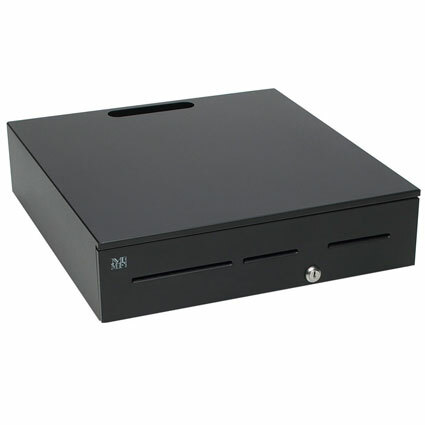 <li> Printer-Driven, Serial, Multi-Serial, and USB interface options <li> Black, Putty, or White <li> 3 media slots <li> 5 bill/5 coin American tills, 4 bill/6 coin Canadian tills <li> 3 year warranty <br><br>A manual version of the <a href="https://posmicro.com/pro/873/mmf/advantage-manual">MMF Advantage</a> is also available.